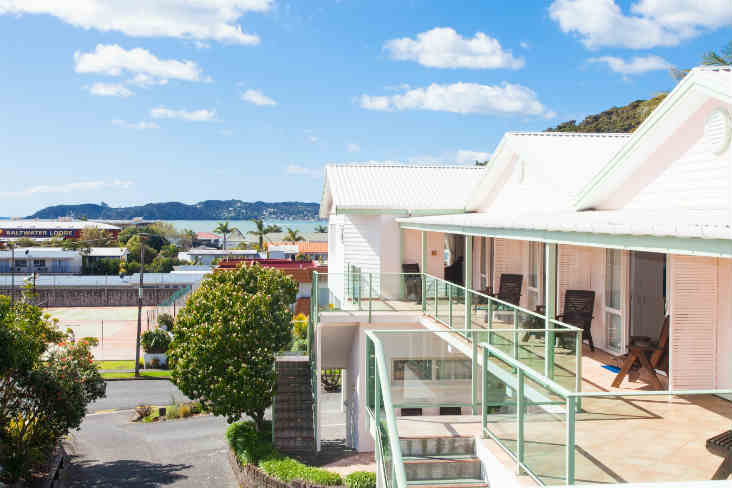 Quality, spacious self-contained & serviced motel in central Paihia. 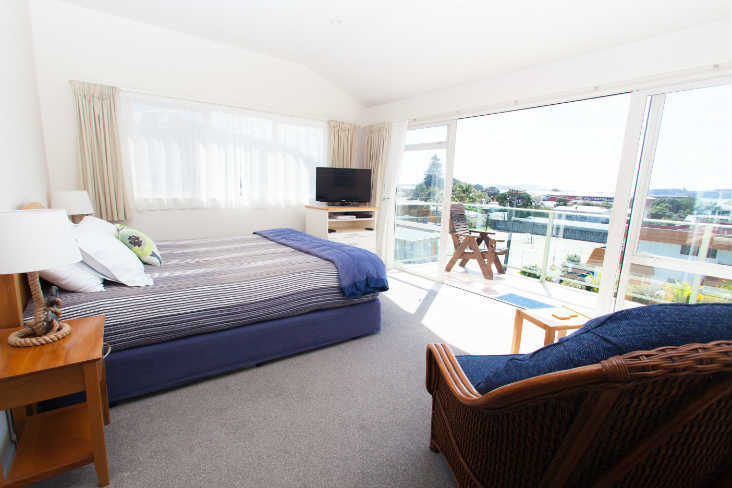 Relax on the sunny balcony or terrace and enjoy views to the sea. 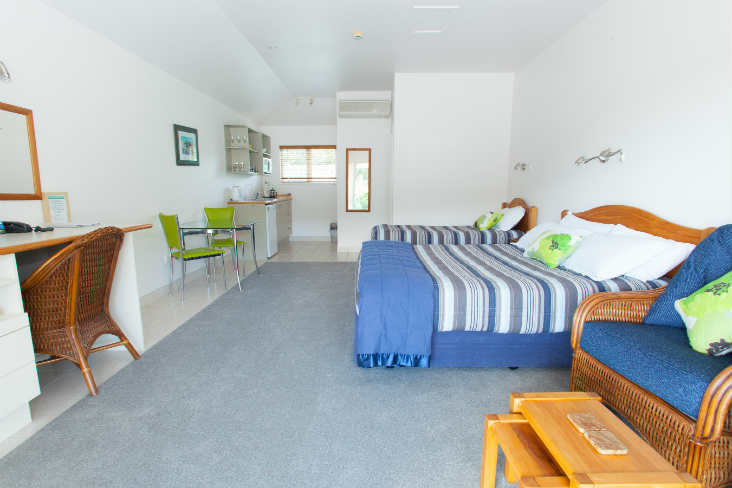 Enjoy our quiet location while still being close to amenities and the walking distance to the beach. 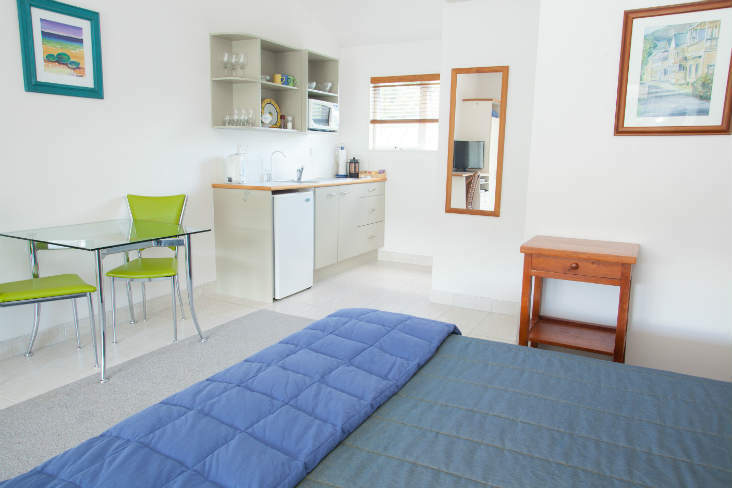 Air conditioned, sunny units including 2 bedroom apartments, sea view studios with luxurious spa-baths and balcony studios, plus our popular, budget garden studios. 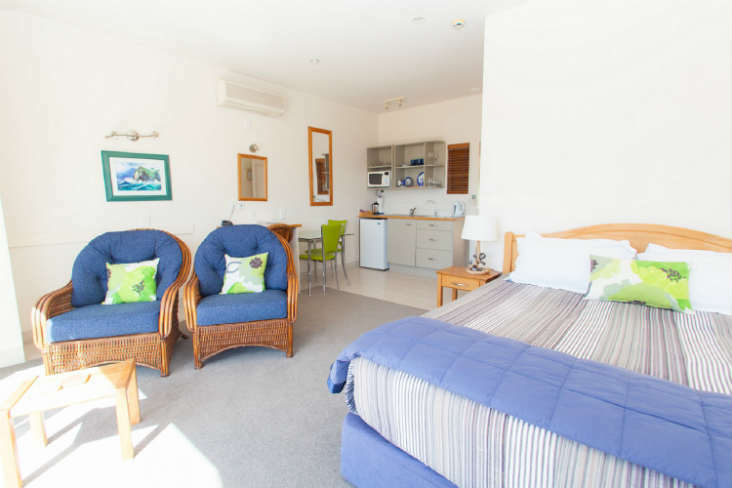 Sky TV – guest select and FREE Wi-Fi in all guest rooms. Park your car & walk the short distance to waterfront restaurants, cafes, beach and activities, take the ferry to Romantic Russell, visit the historic Treaty Grounds at Waitangi, play some golf at nearby picturesque courses, take a bike out onto the wonderful rail trail or mountain bike park, or enjoy some of the beautiful bush and coastal walks.